One of the stars of the weekend was this Lapland Longspur. On the North Beach there was a great supply of flies. This attracted many birds: the Meadow Pipits, but also Bramblings, Snow Buntings and this Lapland Longspur. I always have a thing for birds from the north, like these last three. So I spent quite some time getting nice pictures of these birds. 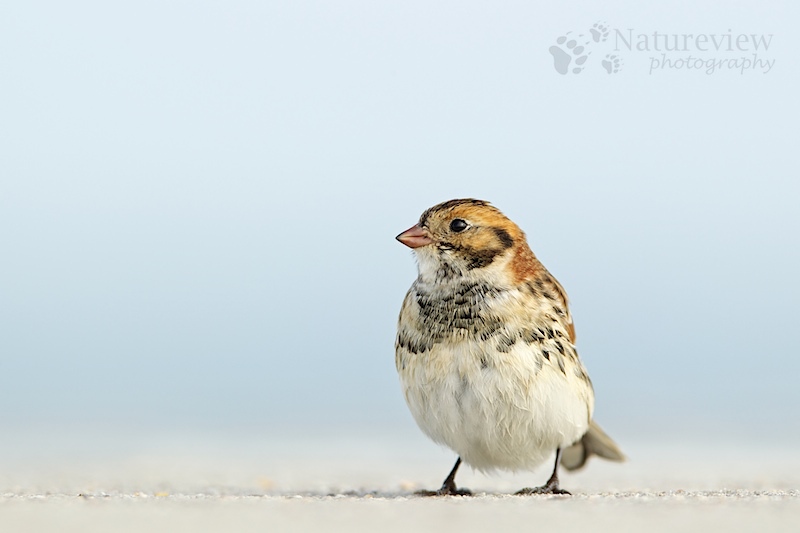 This Lapland Longspur sat down on a concrete dam, allowing for a nice clean picture with a low point of view.